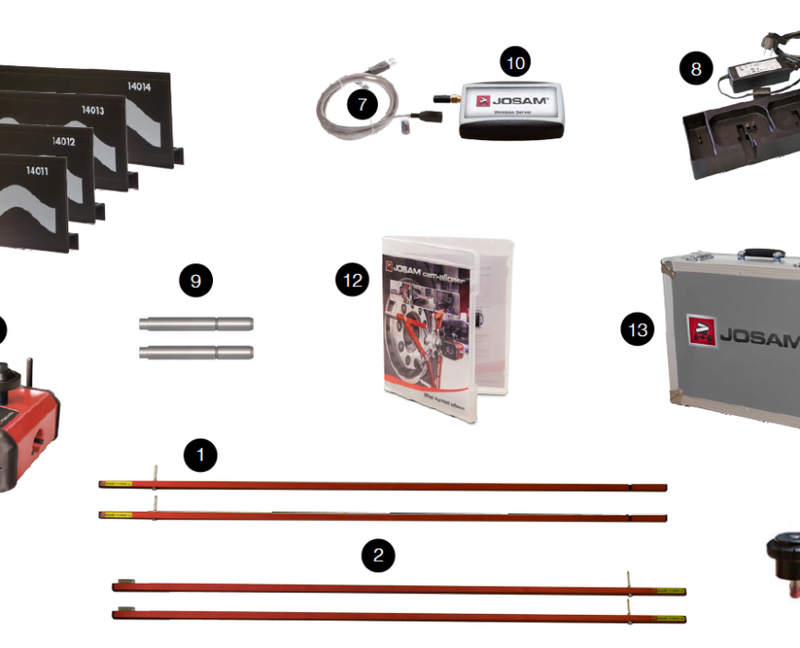 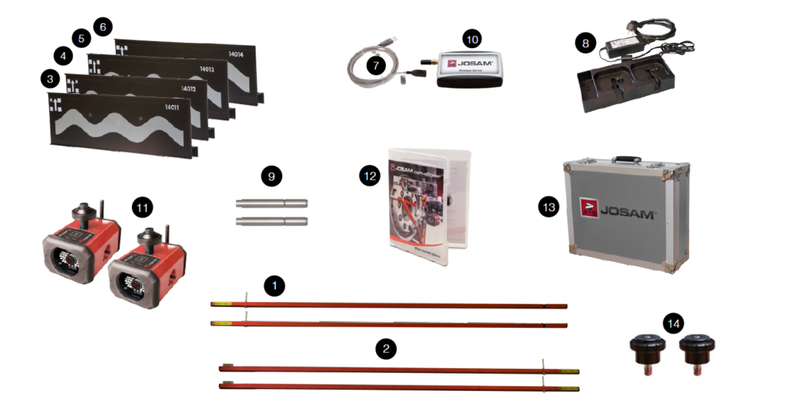 Cam-aligner upgrade kit for JOSAM Truck Aligner. 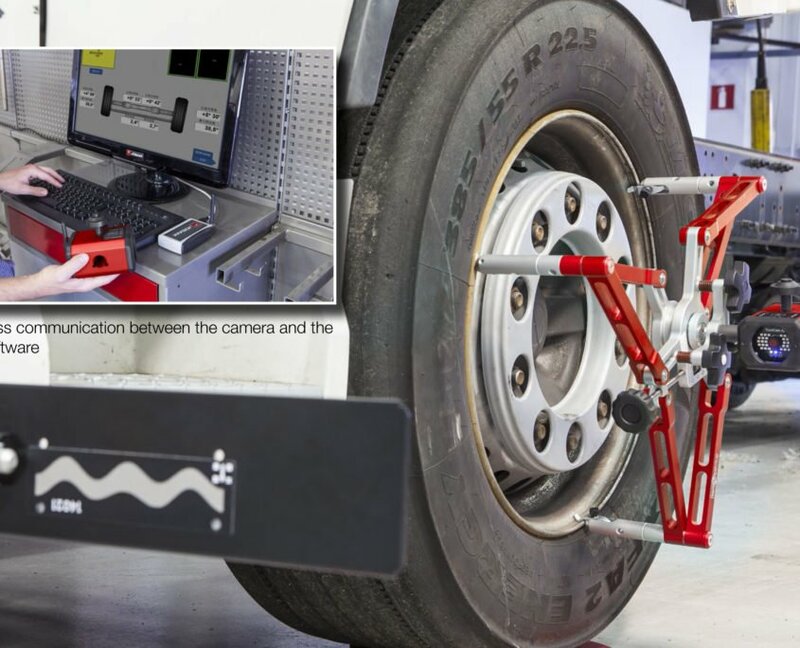 If you already have a JOSAM Truck Aligner wheel alignment system, there is an upgrade kit available with all the equipment needed to turn your Truck Aligner system into a Cam-aligner system. 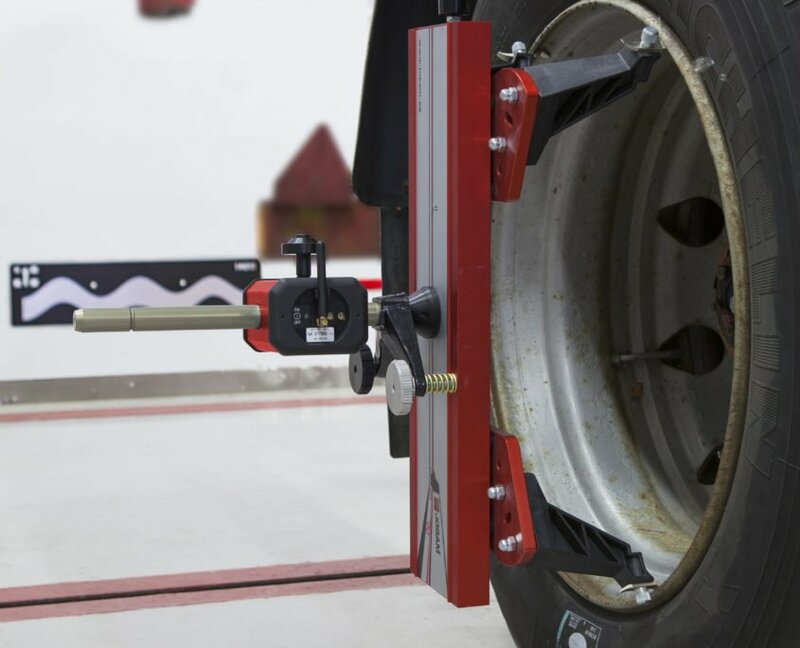 You will get all the advantages of a Cam-aligner with wireless technology. 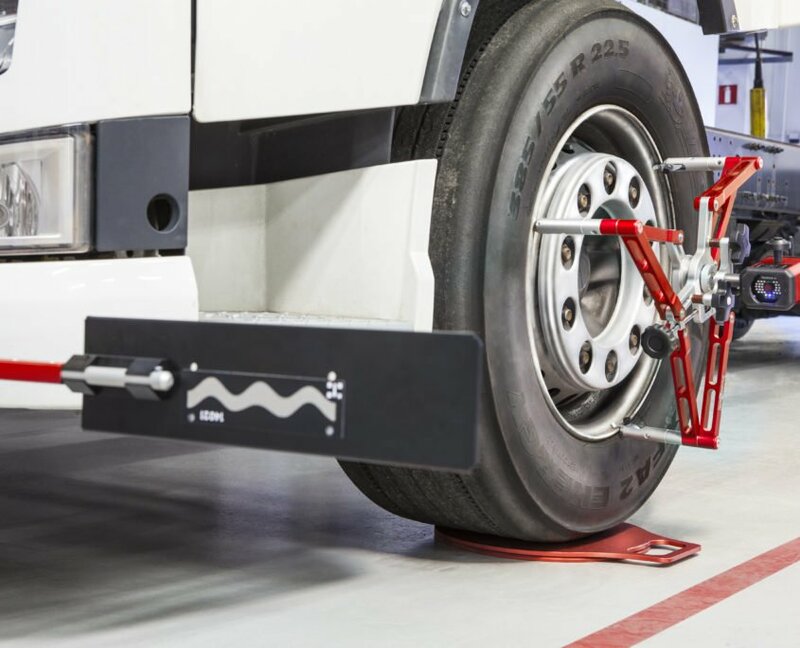 Easy to learn computer software which guides the user through the measuring process. 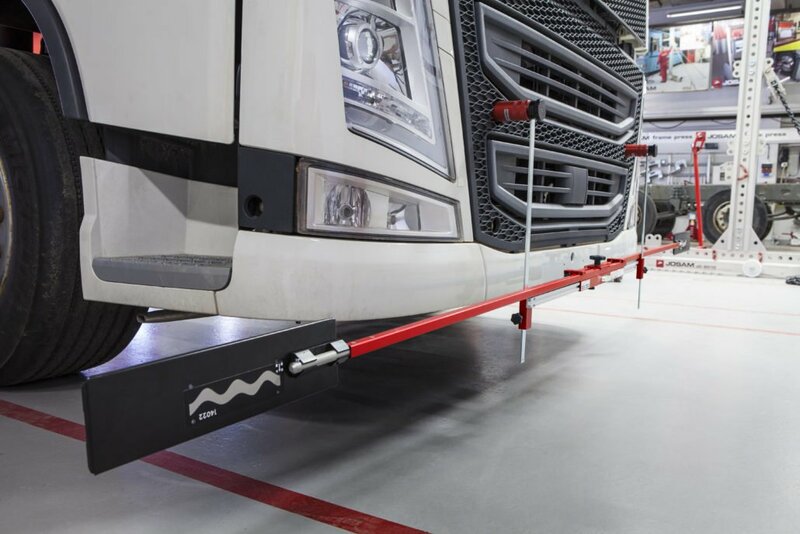 The unique rolling method. 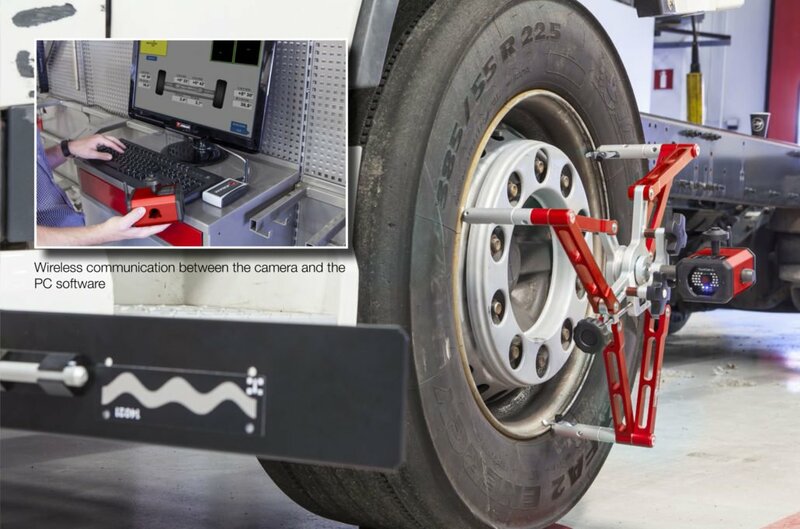 rapid turn angle measurement, data transfer from the cameras to the PC allowing before and after reports of the alignment values. 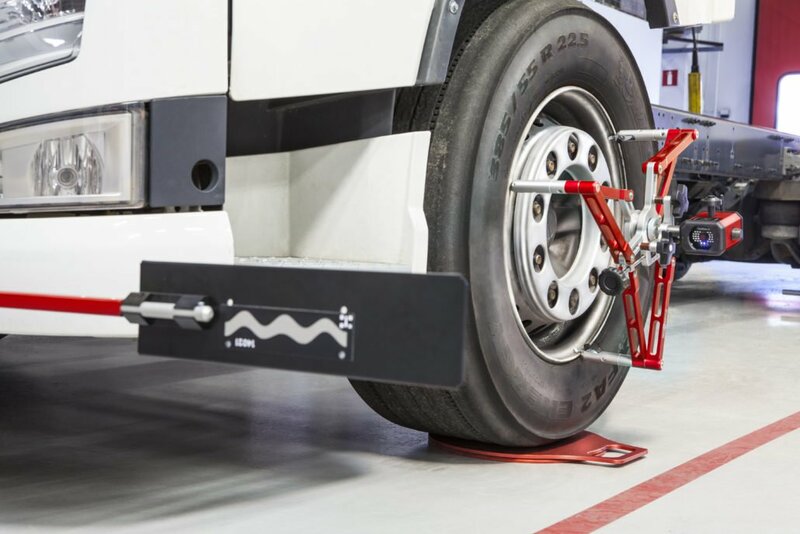 There is also a software for measuring truck and trailer chassis. 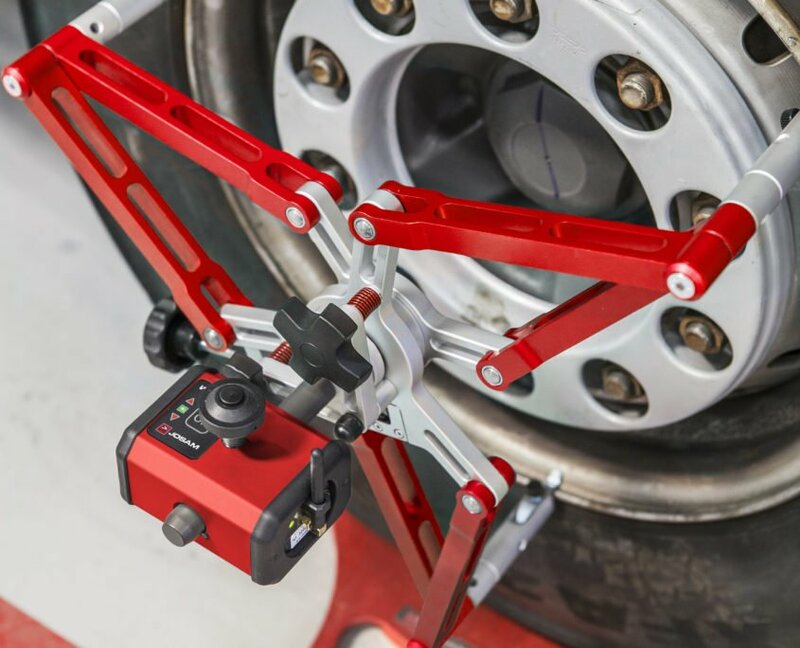 The measurement gives you vertical and lateral twist values. 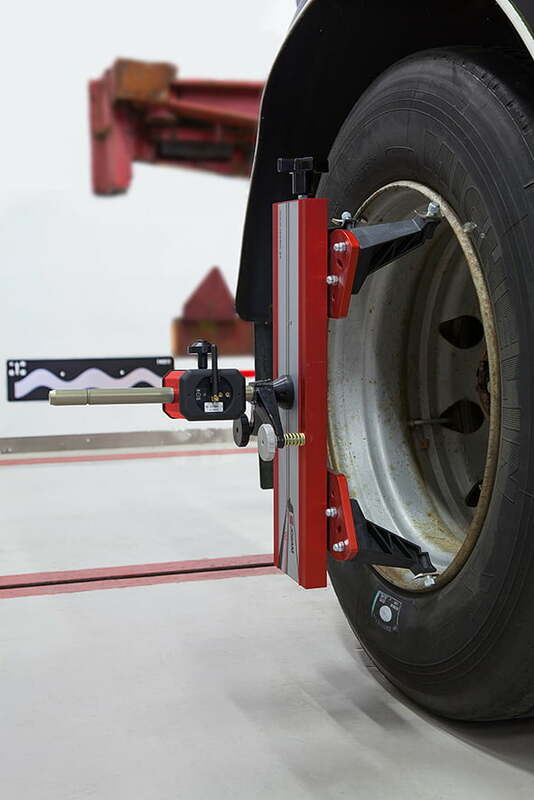 These values are transferred via the wireless technology to the PC to produce before and after reports. 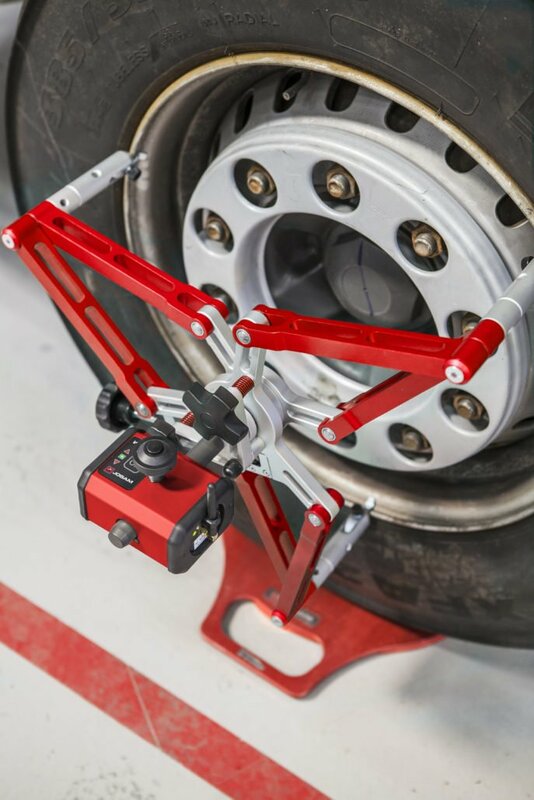 I’ve had over a year’s hands-on-experience using the cam-aligner. 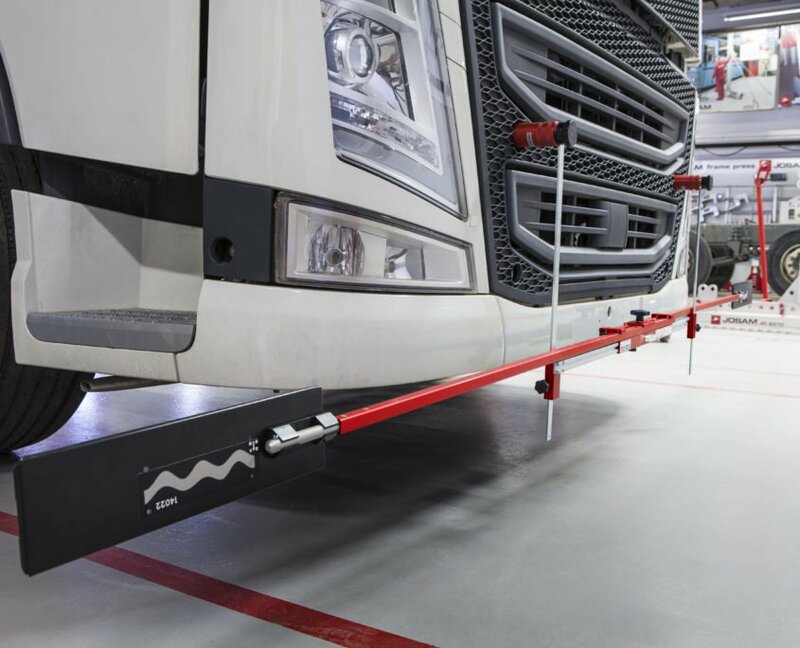 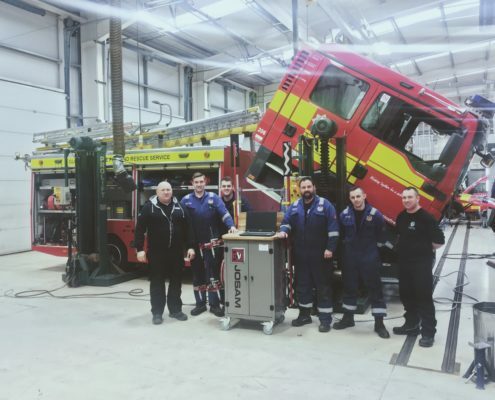 The time-savings with the rolling method has allowed me to double my output on a daily basis compared to the laser system particularly on twin-steered vehicles. The ease-of-use and accuracy of the Cam-aligner allows me to make adjustments with precision, and demonstrate to my customers with before and after print-outs. 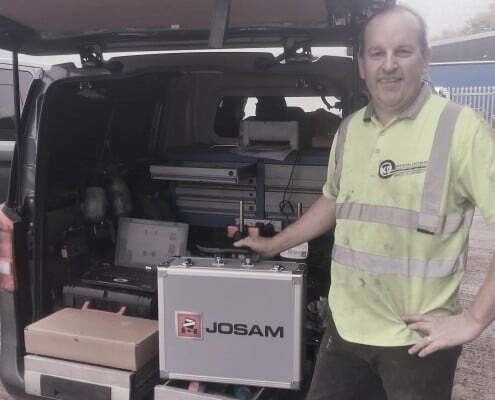 I would recommend to anyone that has the Josam Laser system that they should consider the Cam-aligner upgrade kit, the time-saving alone made for a quick return on investment for business. 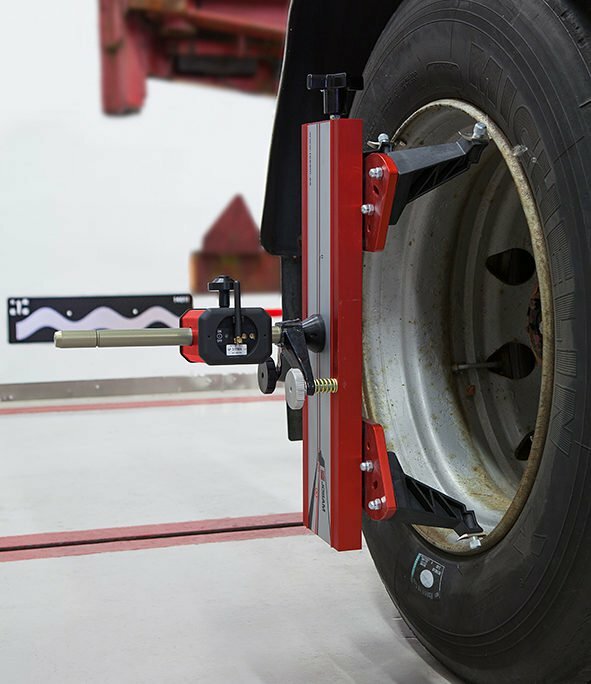 Read more about KD Wheel Alignment’s review of the Laser AM upgrade kit.